Hey I’m Susana Dos Anjos. I’m a forex trader you can look me up on Facebook or my website! I met an amazing group of entrepreneurs who shifted my paradigm in a major way. I was exposed to a “secret” only 1% of the world knows about, and was blessed to take it upon myself to learn what they had mastered…I was able to understand that the top 5% of the world actually INVESTS their money…they realized that only the wealthy understood the power of investing (therefore the “rich get richer, poor get poorer” concept). One such way was through the Foreign Exchange market (Forex). As a forex trader, the top 10 tips I would share with a new forex trader is…. 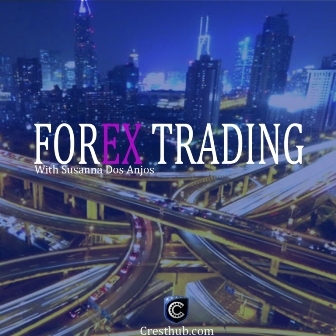 Get connected with forex traders to get the support and more broad knowledge of trading. You’ll never feel like you’re doing this alone and can trade together too. Trading forex is 80% psychological and 20% its strategy. Using risk management, you control how much you can lose either knowing when to pull out of a trade or setting a stop-loss. Knowing how much you can win, you know when to take your profits or set up a take profit. Getting greedy can be risky you’ll lose sight when to pull out of a trade and you will keep wanting more and more. You can end up in a loss instead. Practicing your eyes to see major market patterns will help you find many entries for a trade easier. Like they say practice makes perfect, practicing trading will have major improvements and staying consistent is the way to go! You can practice in a demo account (fake money in the real market), before you start trading on a live account (with your real money). Practice on demo as if it’s your live account. Make the mistakes with your demo account so you can learn from those mistakes and not do them on your live account. Be careful if you decide to trade on the 1st Friday of each month, the forex market has huge volume on those days and the market will fall and rise very quickly, matter of seconds and minutes sometimes. Always plan on how much you’re looking to gain in the market if not you won’t know when to take your profits and will easily get greedy. The market moves in PIPS, plan to catch an amount of pips so you know how much you can catch according to your analysis. Lady Boss, Entrepreneur, Forex Trader, & Model. I change lives by teaching people how to be financially free.